Pages in category "Individual crowns"
The Imperial Crown of Austria was made in 1602 in Prague by Jan Vermeyen as the personal crown of Holy Roman Emperor Rudolf II, and therefore is known as the Crown of Emperor Rudolf II. 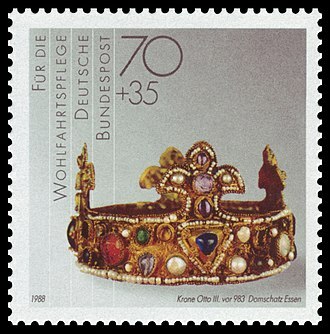 The crown was used as a crown of the Holy Roman Emperors and Kings of Hungary. 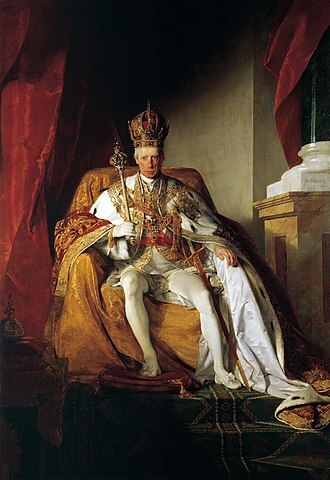 In 1804 it became the crown of the newly constituted Austrian Empire. After 1867 it remained the crown of the Cisleithanian part of the Austro-Hungarian Empire until 1918. 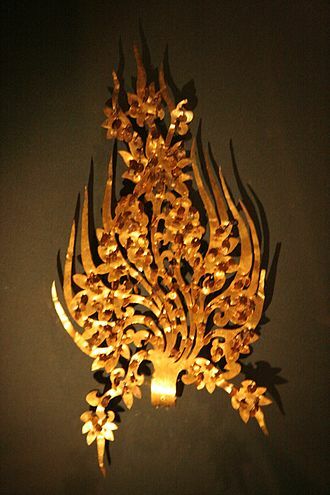 The Imperial Crown consists of three principal elements possessing great symbolic significance, the circlet, the arch, and the mitre. The circlet is dominated by eight large squares of diamonds, forming a crown in itself, between the stones are two large pearls arranged vertically and set within white enamel rosettes surrounded by scrollwork. From the circlet emerge eight lilies, which were inspired by the Bohemian Crown of St. Wenceslas. The lilies are associated with the fleurs-de-lis of the House of Valois, the use of eight elements was taken from the Imperial Crown of the Holy Roman Empire, which includes a circlet made out of eight plates. In the circlet are precious stones such as spinels, the zircons are cut in such a way that they are flat at the front. Preparing precious stones for mounting in this way was a new technique at the time the crown was made. 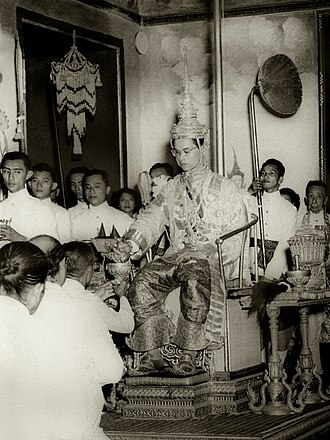 The mitre symbolises the right to rule, and the spiritual position of the emperor. The mitre fills the left and right sides of the crown, the mitre is made of gold, with a band of enamel work depicting birds and plants. The mitre is divided into four sections representing the high honours of Holy Roman Emperor Rudolf II, the first section shows him kneeling, receiving the Imperial Crown of the Holy Roman Empire in Regensburg as Holy Roman Emperor. The second section shows him riding onto the hill in Pressburg during his coronation as King of Hungary. The third section shows his coronation procession through Prague as King of Bohemia, the fourth section depicts an allegory of his victory over the invading Turks. The Latin inscription inside the arch reads, RVDOLPHVS II ROM IMP AVGVSTUS HVNG ET BOH REX CONSTRVXIT MDCII, the high arch was inspired by the arch of the Imperial Crown of the Holy Roman Empire. The Crown of Saint Wenceslas is a crown forming part of the Bohemian Crown Jewels, and made in 1347. On the orders of Charles IV the new crown was permanently deposited in Karlštejn Castle near Prague). 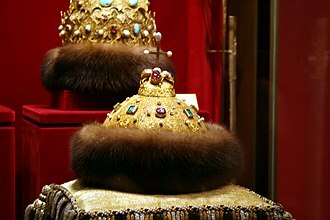 It was used for the last time for the coronation of Ferdinand V in 1836, the St. Wenceslas Crown is made of 21 to 22 carat gold and decorated with precious stones and pearls. It contains a total of 19 sapphires,44 spinels,1 ruby,30 emeralds and 20 pearls, unlike many other European royal treasures, the St. Wenceslas Crown is not displayed publicly, and only a replica is shown. Along with the other Bohemian crown jewels, it is kept in a chamber within St. Vitus Cathedral accessible by a door in the St. Wenceslas Chapel, the exact location of the chamber is not known to the general public. The jewels are taken from the chamber and displayed for periods of several days on notable occasions approximately once every five years. 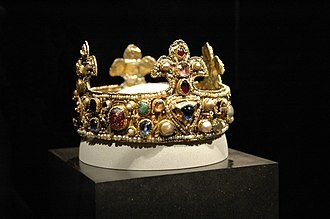 The crown was exhibited in May 2016 to mark the 700th anniversary of the birth of Charles IV, although there is no evidence proving that Heydrich did so, the legend is widely believed. According to three of the canonical Gospels a woven crown of thorns was placed on the head of Jesus during the events leading up to the crucifixion of Jesus. It was one of the instruments of the Passion, employed by Jesus captors both to cause him pain and to mock his claim of authority. It is mentioned in the gospels of Matthew and John and is alluded to by the early Church Fathers, such as Clement of Alexandria, Origen. 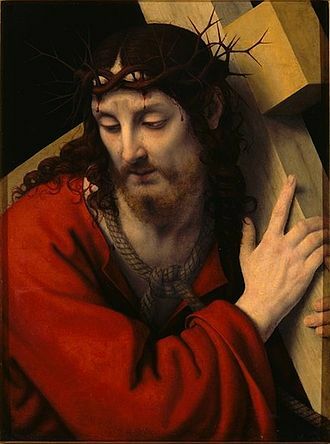 In centuries, relics believed by many to be all or part of the Crown of Thorns have been venerated, a few writers of the first six centuries AD speak of a relic known to be still in existence and venerated by the faithful. St. Cassiodorus, when commenting on Psalm lxxxvi, speaks of the crown of thorns among the relics which are the glory of the earthly Jerusalem. There, he says, we may behold the thorny crown, from these fragments of evidence and others of date, it is likely that a purported crown of thorns was venerated at Jerusalem from the fifth century for several hundred years. Francois de Mély supposed that the crown was not transferred to Byzantium until about 1063. 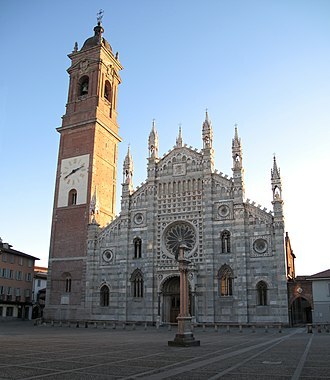 Eight of these are said to have been there at the consecration of the basilica of Aachen by Pope Leo III. The presence of the Pope at the consecration is a legend, four were given to Saint-Corneille of Compiègne in 877 by Charles the Bald. Hugh the Great, Duke of the Franks, sent one to the Anglo-Saxon King Athelstan in 927, on the occasion of marriage negotiations. Another was presented to a Spanish princess about 1160, and again another was taken to Andechs Abbey in Germany in the year 1200. In 1238, Baldwin II, the Latin Emperor of Constantinople, anxious to support for his tottering empire, offered the crown of thorns to Louis IX. It was in the hands of the Venetians as security for a heavy loan, new reliquaries were provided for the relic, one commissioned by Napoleon, another, in jewelled rock crystal and more suitably Gothic, was made to the designs of Eugene Viollet-le-Duc. 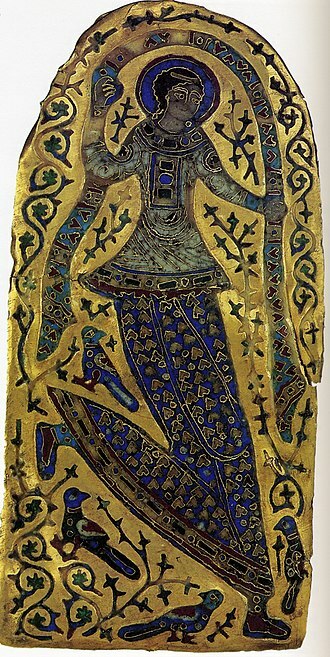 In 2001, when the treasures from the Sainte-Chapelle were exhibited at the Louvre. The Monomachus Crown is a piece of engraved Byzantine goldwork, decorated with cloisonné enamel, in the Hungarian National Museum in Budapest, Hungary. It consists of seven gold plates depicting Byzantine Emperor Constantine IX Monomachus, his wife Zoe, her sister Theodora, the piece has puzzling aspects that have long made it the subject of scholarly debate, it was probably made in Constantinople in 1042. It was unearthed in 1860 by a farmer in what is now called Ivanka pri Nitre in Slovakia, if it is a crown, it is, with the Holy Crown of Hungary of a few decades later, one of the only two Byzantine crowns to survive. 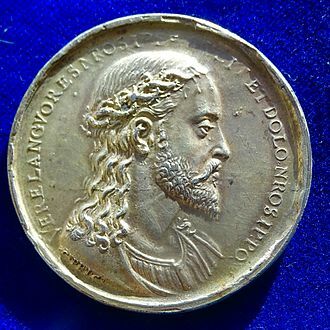 In 1860 a farmer near Nyitraivánka discovered the treasure while plowing, sold were the two smaller cloisonee medallions found with the crown plaques, with busts of the apostles Peter and Andrew. These medallions lack holes for nails, unlike the gold plates, in the view of Magda von Bárány-Oberschall and most scholars they almost certainly do not belong to the Monomachus Crown. The general assumption was for long that the crown seems almost certainly to be a crown and was presumably a gift to the wife of a Hungarian king. According to the account, Andrew or his queen would have received the crown from Constantine IX at this juncture. He was in need of a new crown, since Henry III had captured the crown from King Samuel Aba in 1045 after the Battle of Ménfő and had sent it back to Rome. According to popular legend this was the Holy Crown of Hungary, or some version of it, in 1057 the young King Solomon was crowned with this crown. Other, very different, possibilities have been suggested and are covered below, in 1057 Solomon was besieged by Geza I and escaped with the crown and treasure in the direction of Bratislava in order to seek the protection of his brother-in-law Emperor Henry IV. Soldiers of Geza apprehended him as he was fording the Váh near Ivanka pri Nitre, Solomon had the treasure and the crown buried and barricaded himself behind the walls of Bratislava. Possibly this was an attempt to recover the buried crown near the ford of Ivanka pri Nitre. The seven gold plates are 3.5 cm wide and between 10 and 4.5 cm tall and they have asymmetrically cut holes whose size and arrangement suggests that the plates were originally connected by a fabric or leather band. It is possible remains of golden bands for connecting the plates were found. It is possible that the seven plates were fastened to a fabric cap, the coarse finish of the decoration, the low purity of the gold plates and the presence of errors in the depiction of the clothing and in the inscriptions are notable. The central and largest plate shows Emperor Constantine IX Monomachus, who was Byzantine Emperor from 1042 to 1055, a Greek inscription on the panel reads, Κῶνστάντινος Αυτοκράτο<ρ> Ρομεον ο Μονομαχο<ς>, Emperor of the Romans, the Monomachos. On the plate to his right is his wife and on the plate to the left, on the smaller panels to the right and left of the Empresses are two dancing female figures. The George IV State Diadem, officially the Diamond Diadem, is a type of crown that was made in 1820 for King George IV. The diadem is worn by queens and queens consort in procession to coronations, the piece of jewellery has been featured in paintings and on stamps and currency. It can be seen in the Queens Gallery at Buckingham Palace, George IV commissioned Rundell & Bridge to make the diadem in 1820 at a cost of £8,216. The fee included a charge of £800 for the diamonds. George IV wore the diadem over his cap of maintenance in the procession to his coronation at Westminster Abbey. The gold and silver frame, measuring 7 and its design features roses and shamrocks, the floral symbols of England and Ireland respectively, in place of the heraldic fleurs-de-lis usually seen on British crowns. It has been worn by every queen and queen consort from Queen Adelaide, the diadem was reset with jewels from the royal collection for Queen Victoria. Queen Elizabeth II wore the diadem in the procession to her coronation in 1953, when not in use, the diadem is on display in the Queens Gallery at Buckingham Palace. King Stanisław II August wearing the crown. Detailed drawing by Krzysztof Józef Werner of a part of the crown before 1794. The drawing was used for the reconstruction in 2001-2003. Relic of the crown of thorns, bought by Louis IX from Baldwin II. It is preserved today in Notre Dame de Paris. Nuremberg 16th-century silver medal of Jesus Christ with a crown of thorns by Valentin Maler. 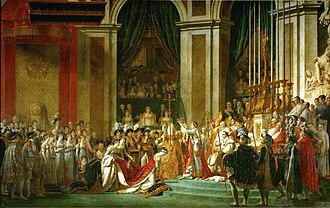 The Coronation of Napoleon, memorialised by Jacques-Louis David. Napoleon on his Imperial throne (wearing his laurel leaf crown). 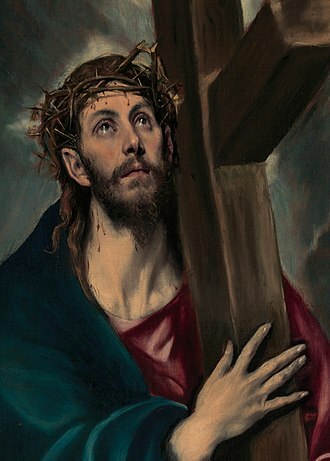 painting by Jean Auguste Dominique Ingres in 1806. The Crown of Napoleon, called by him the "Crown of Charlemagne". Mohammad Ali Shah Qajar wearing the Kayanid Crown, One of 274 Vintage Photographs. Brooklyn Museum. 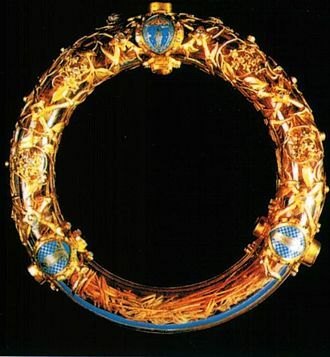 Płock Diadem, Ducal Crown attributed to Konrad I of Masovia. Queen Alexandra wearing her crown. 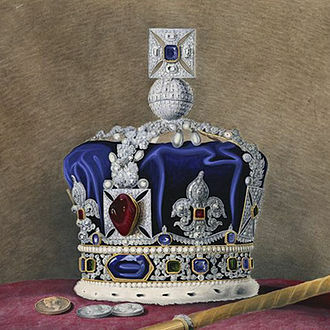 The European-style crown contained more half arches than was usual in British crowns, and had its cap placed lower, allowing a clear view through the crown. 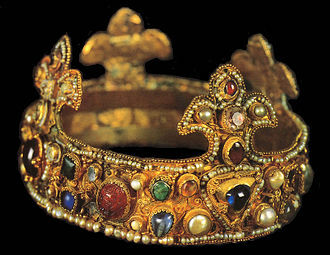 The « Crown of Charlemagne » from 1271, used as French coronation crown from 875 or 1590 to 1775.